who needs to take youth protection training? All registered Pack Leaders, Den Leaders, Committee Members, and parents who go on camping trips and act as drivers are required to take Youth Protection Training. All concerned parents are encouraged to take Youth Protection Training. It helps to understand what the training entails, and once completed permits one to volunteer. It's free, and online. Youth Protection Training must be completed within 30 days of registering, and must be retaken every two years. 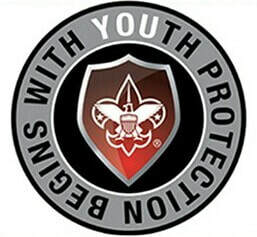 Youth Protection Training is for the protection of both scouts and leaders. Create an account if you don't already have one. You’ll receive an email notification with your account information, including a member ID/reference number. Login to My.Scouting.org and click on the Menu, then My Dashboard from the menu list. The My Training page will display and show the link to to take Youth Protection Training course. If you have already taken the YPT, the date completed and expiration date will display. If you have any questions or technical issues, use the Contact page to contact the Chairperson. How can i tell when my youth protection training expires? Click on the Menu, then My Dashboard from the menu list. The My Training page will display the date completed and expiration date. A link to take Youth Protection Training course is also displayed. In the mobile app, click Home icon, select My Training, select Youth Protection.